Natural Salicylic Acid: Unclogs and tightens pores; Refines skin texture. Organic Rose Water: Boosts hydration; Activates glow. Grape Polyphenols: Reduces blemishes; Antioxidant rich. 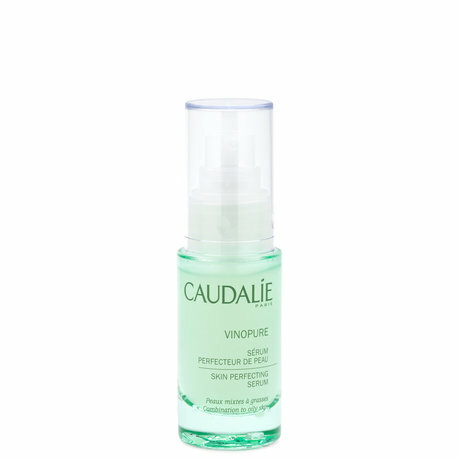 Clarify skin and tighten pores with Vinopure Purifying Toner from Caudalie. Grape polyphenols and organic essential oils visibly reduce imperfections while the ultra-light water texture sweeps away any last traces of dirt or makeup. Use it to prep your skin for the rest of our routine for a clear, calm complexion. Morning and night, apply to skin with a cotton pad. Use after cleansing but before moisturizing. Avoid the eye area.